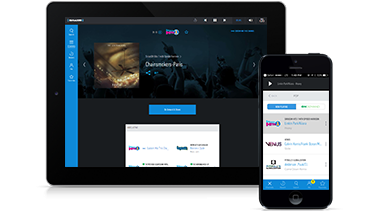 This is the perfect hardware-free solution that allows you to easily connect and control SiriusXM Music for Business using your existing smartphone, tablet, or computer. Enjoy added features such as Custom Mix so that you hear more of what you want without the DJ chatter across all channels. Use a high-speed Internet connection to access to over 100 channels of programming, including 30 music channels with no commercials or interruptions and a set of family friendly channels. View the Channel Guide. Stream a variety of genres including pop, rock, county, latin, dance, electronic, classical, jazz, rap, and more. This music is perfect for any retail store, restaurant, cafe, hospital, dentist, hotel, spa, gym, supermarket, or franchise location. Available in the 48 contiguous states, Alaska, Hawaii, and Puerto Rico. Download the app from the iTunes App Store or from the Google Play store. This is an annual subscription, however quarterly and semi-annual subscriptions are also available. PlayNetwork does not sell computers, nor is the image intended to display a product for sale. 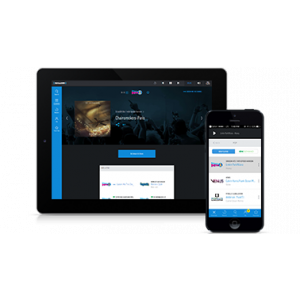 This is a virtual product that once purchased will provide you will a login and password which will allow you to access the SiriusXM for Business music content from your device or through the Apple or Google apps.